The Page View panel shows a thumbnail of your entire page. Toggle the Page View panel Page View menu or from the Panel Toggles popup menu. Left click or click and drag to pan your image. 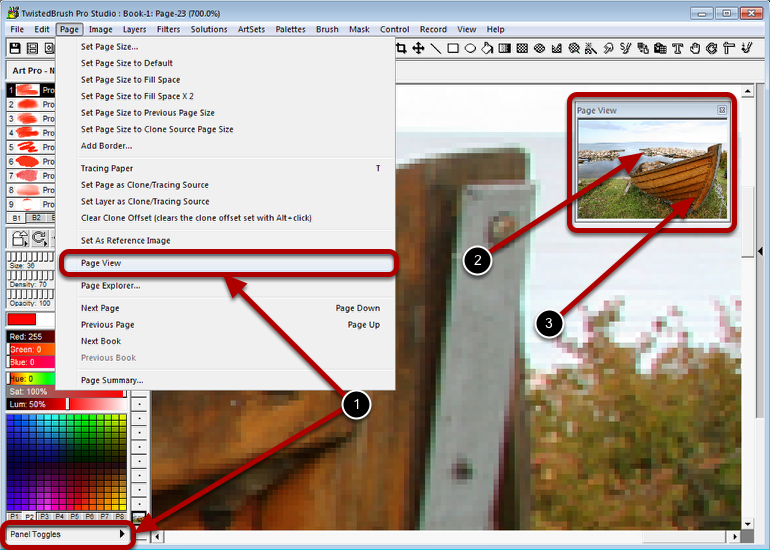 Right click in to cycle through 4 different display sizes for the Page View panel.